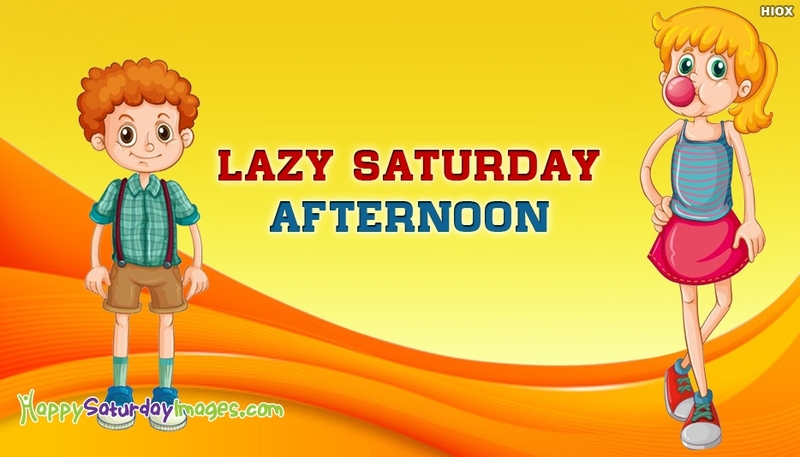 Here is a funny and cute image showing a boy and girl in the Lazy Saturday mood. Saturday is the perfect holiday to be spent for oneself as how they feel. If you are just enjoying the present saturday moments, then the image is for you. Ping your friends and engage them for a chit chat corner by free downloading and sharing this "Lazy Saturday Afternoon" image on facebook or whatsapp.